Relighting techniques can achieve the photometric consistency in synthesizing a composite images. Relighting generally need the object’s shape and illumination environment. Recent research demonstrates possibilities of relighting for an unknown shape object or the relighting the object under unknown illumination environment. However, achieving both tasks are still challenging issue. 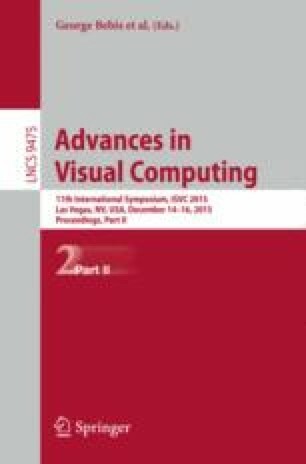 In this paper, we propose a relighting method for an unknown shape object captured under unknown illumination environment by using an RGB-D camera. The relighted object can be rendered from pixel intensity, surface albedo and shape of the object and illumination environment. The pixel intensity and the shape of the object can simultaneously be obtained from an RGB-D camera. Then surface albedo and illumination environment are iteratively estimated from the pixel intensity and shape of the object. We demonstrate that our method can perform relighting for a dynamic shape object captured under unknown illumination using an RGB-D camera.